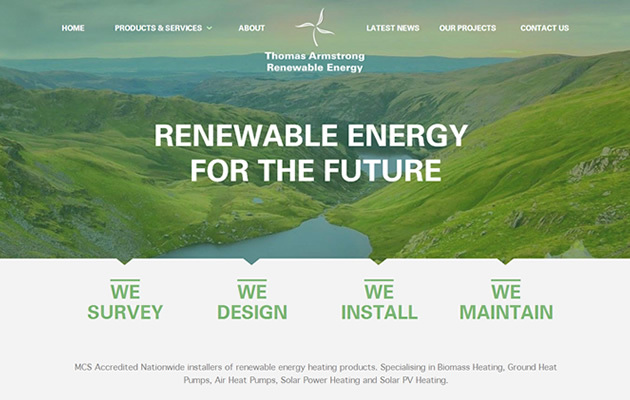 Towards the end of last year, we were asked by Carlisle-based Thomas Armstrong to participate in a very interesting project for their renewable energy business. 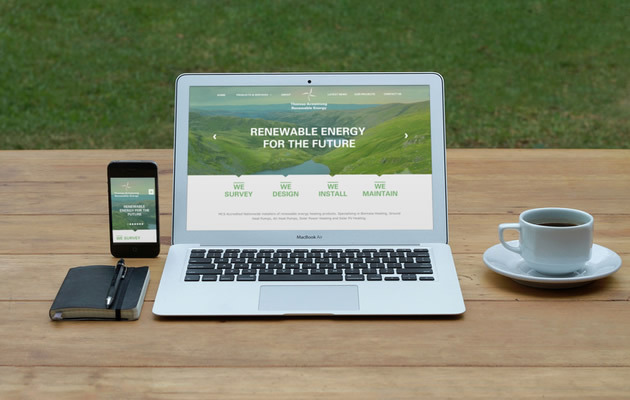 Working alongside the students of the graphic design course at the University of Cumbria, we were asked to provide guidance and feedback on their ideas for the new renewable energy website. We were involved in a number of workshops and internal feedback meetings, in an attempt to decide which of the student’s designs would be chosen as the winning project. After a very competitive final stage, Ruth Fogden was announced as the winner and received the prize of a new iPad. We were tasked with taking the elements that Ruth had created, and produce consistent visuals for the rest of the website. We then built the set of approved visuals into a responsive, content-managed website which will allow Thomas Armstrong to attract more business via their website and publish updates on new project wins. In addition to the new website launch, we are also helping Thomas Armstrong with a number of online marketing activities in an attempt to grow brand awareness.